It's like the most expensive thing that I ever lose in my life wtf. Usually I'm pretty careless but still, I never ever lose any important or valuable stuff before.... Okay, other than my SD memory card which is considered as valuable since there are alot of raw pictures of me lololol and I up till now I still don't understand why that person will wanna steal my memory card because I lost it together with my camera pouch which, in the end they did returned the camera pouch to the lost & found. I just don't get it. 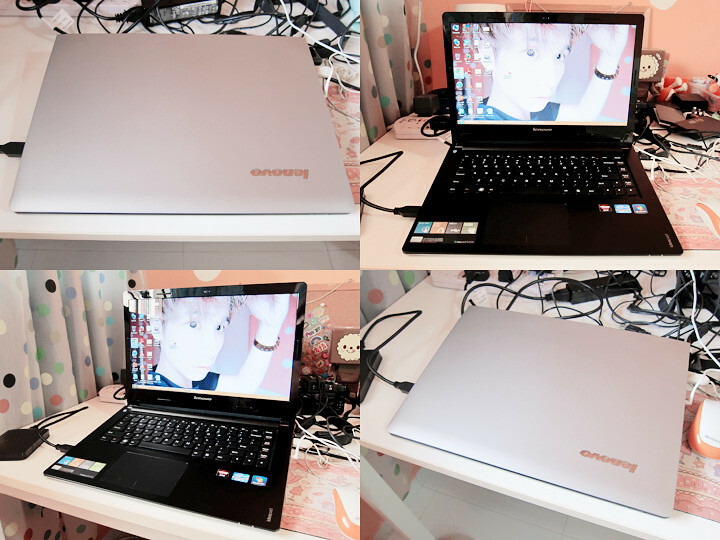 Anyway, as I said it's the most expensive item that I ever lost but it's really not so much of the laptop that I'm sad about (partly because it's also quite cheap, I bought it at less than $700. But I'm still sad lah, it's money still hello!!!). It's all my files, documents and software that are inside my laptop. It's all gone. Luckily, I always transfer all my pictures to my hard disk straight from my camera every single time and so there are no much pictures of me in my laptop. But I still think there are important files which are work related (blog) that are in there that might be very confidential and probably some other files which are important as well. So I'm fine with the person stealing my laptop as long as the person went back home to reformat the whole thing without looking through all my stuff or say the worse, uploading them. In the morning when I woke up for school, I decided to bring my laptop out because I'm meeting my airforce mates in the evening and I thought I could do some school projects and also blog an entry while waiting for them since I end school at 3pm and we are meeting in the evening after 7pm. Right. But I woke up late and it was raining heavily, so I decided to cab to school with JJ cause she's late as well. Then I remember when I took out my laptop to use in class, I still tell JJ that "I cannot imagine if my laptop get lost, all my stuff will be gone". Yah, I did said that out of sudden for no reason wtf. It's super creepy I tell you. I got no idea why would I say that! Then when the lesson ended, I went to Jurong to make my specs then I head to The Star Vista over at Buona Vista. 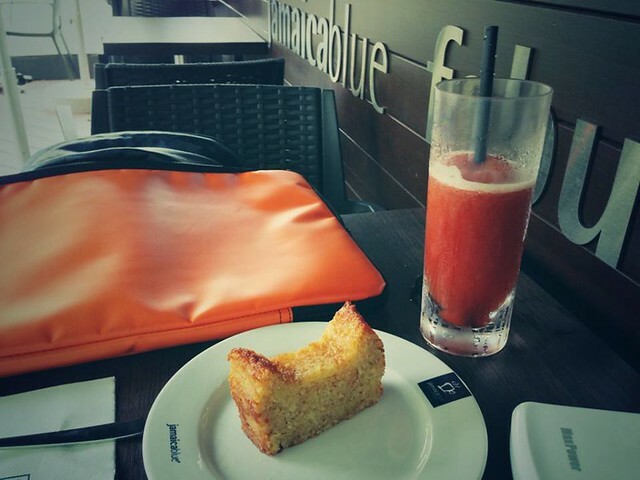 After walking around to find a place to settle down to do my work while waiting for my friends, I end up in a cafe which I still posted this photo on my Twitter and Facebook when I was using my lappy and having my drinks and bites there. Yes, this is the very last time I used my laptop before it's gone! One of my friend then came, so I packed up and had dinner with him while waiting for the rest to arrive. And when all arrived, one of them said he wanted to have Subway, okay so we went. After finding a table for us, I then placed my laptop pouch on the chair together with my bag pack while I'm sitting in front of them. We were then talking so happily, catching up and all before we left for desserts. AND THIS IS THE TIME WHEN I FORGOTTEN TO TAKE MY LAPTOP FML. So yeah. We left and went to the toilet (I'm saying this because I thought I left in it the toilet but both of my friends say they didn't see me carrying it or placing it anywhere in the toilet so... okay because since 2 person said they didn't see me carrying it means I really didn't lost it at the toilet) after that we went to a cafe and it's only when we ordered our desserts and drinks then I realise my laptop is not with me!!!!! At first I thought maybe it's my airforce mates that pulled a prank on me but I then found out then it's not by their super shocked and worried expression. So I went back to both the toilet and Subway but it's not there anymore. 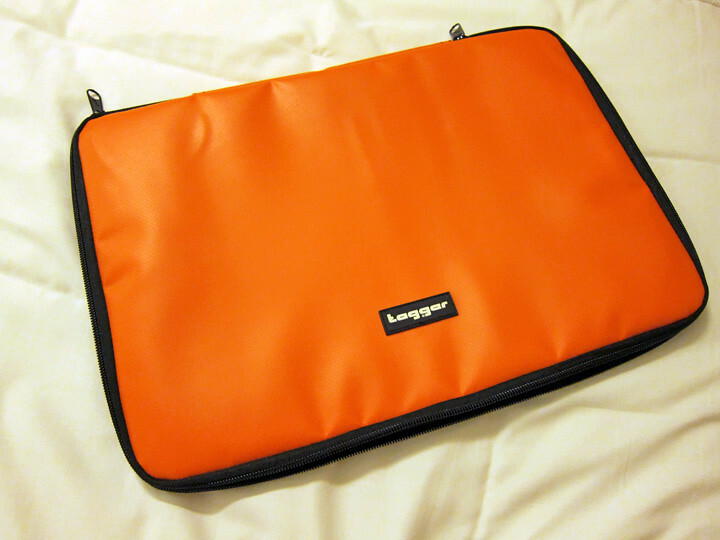 I checked with the Subway staff and they said they didn't see any orange laptop pouch when they are cleaning the table. I was so stressed up I really hope everything is a dream or a prank. Thank you guys for all the retweets, manually retweets, tweets or any help that you guys had given me at that point of them. I'm just very lucky and blessed to have all your support, care and concern. So since I couldn't find my laptop, I left my contact details and reported the incident to not only the Subway staff, but to the information counter and as well as the security guard. I demanded to see the cctv but they say they couldn't let me see because it's in the "record mode" and they say they will check it the next day. So nevermind, I cabbed home after that and I was feeling pretty down + worried + stress + sad at the same time. Yes, all of these feelings combined together. It's pretty much a very 'sian' feeling lah for losing something that is so important. I just lie down there on my desk and don't even feel like showering. Then when I was in bed (after washing up), I couldn't sleep still so I went to login my dropbox to change the password on my phone (that is the only one that I forgotten to change) and guess what I saw!!!! My laptop was online 3 hours ago as stated on my dropbox linked devices. Because whenever my laptop is connected to the internet, my dropbox will automatically sync and goes online which means the person who stole my laptop actually did on my laptop and went ONLINE with it wtf. Ridiculous right. And I can actually see the IP address of the person who is using my laptop on the dropbox website as well. So I immediately took it down and I tried to track using some IP tracking website which I found from Google and it's near Esplanade area and the person is using Singtel wireless boardband. So I thought okay, I'm gonna go make police report the next day when I wake up. Oh yah, and by now you must have realise that I didn't set any password for my laptop thus the person can actually used my laptop -_- Sigh. A lesson learnt! You guys all faster go set password for your laptop now okay!!!! 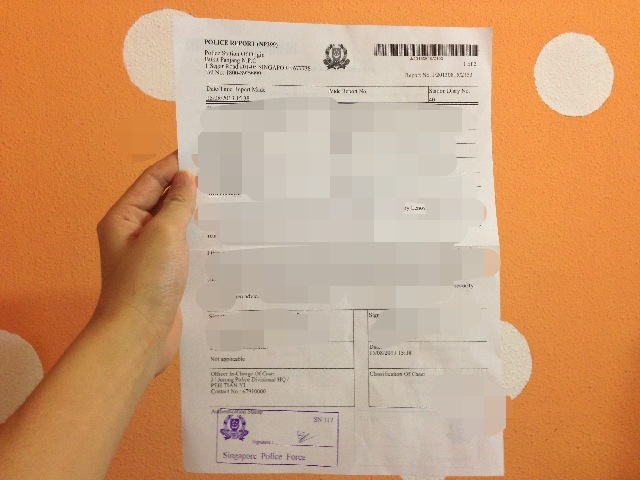 So yesterday afternoon, Ran accompanied me to the police station (omg I have the best brother ever) and we made a police report which is close to about an hour. And I told them every single details including the IP address thing, so I really hope they will be able to find that nasty person who took my laptop and don't wanna return to lost & found and still got the guts to go online with it somemore!!! They considered this as a theft case and they said they will contact me if there's any news. Mosaic with iPhone app because I got no laptop nor I have photoshop omg kill me please! So now all I can do is wait, but not saying I'm being negative or what but honestly speaking.... I think it's very hard to find back my laptop because most likely the person had already reformatted my laptop for his/her own usage or sell it away already. I mean if they really sincerely wanna return... they would have done so and pass it to the Subway staff or information counter staff right on the spot! But guess what? No, the person took it away to so far away to like Esplanade area and go online with it. Good job! Means the person have no intention of returning (I might be wrong but I think the possibility of me getting wrong is 5%) and although I must also admit that it's my fault for being careless this time round. I'll be more careful next time and I'll put my laptop in my bag and not carrying it on my hands anymore! Now, I do not have a laptop to use. No photoshop, no nothing omg. But luckily I edited some pictures and already uploaded them so probably I still can update few more entries though. Okay fine, I guess puppy eyes doesn't work everytime lololol. You guys better take care of your stuff and don't be so careless like me ah. Anyway, do share with me your story!!!!!! I would love to know what stuff you guys had ever lost or misplaced before. No matter it's expensive or not, or whatever stuff that you guys lost and misplaced before, do let me know by leaving it down at the comments below! Life must go on no matter what, no point being sad about things that have already happened. Ben how did you blog this entry? Using your phone? I was as careless as you! I lost almost everything! I lost my wallet often when i was in Pri. accompany me watch movie and i will buy macbook for you. on boh? do u buy a new one now? ?